If you are a professional home designer, or someone who needs a new decor in the house, you may wish to view the comments before you begin pulling the walls down. With today’s technology, it is easier to create a model of the new environment and get a feeling of what to expect before you place too much money in the project. 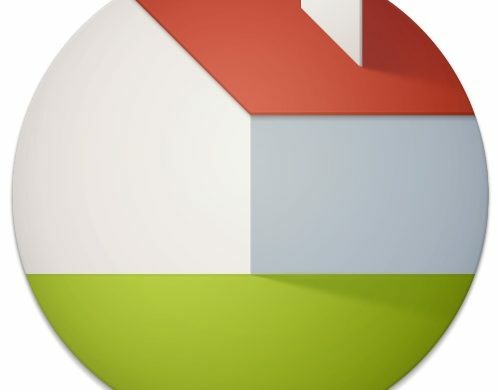 We have explored Live Home 3D for you, so let’s see how it can help. Live Home 3D is software that lets you create a home, an apartment, or an office environment with furniture and textures. 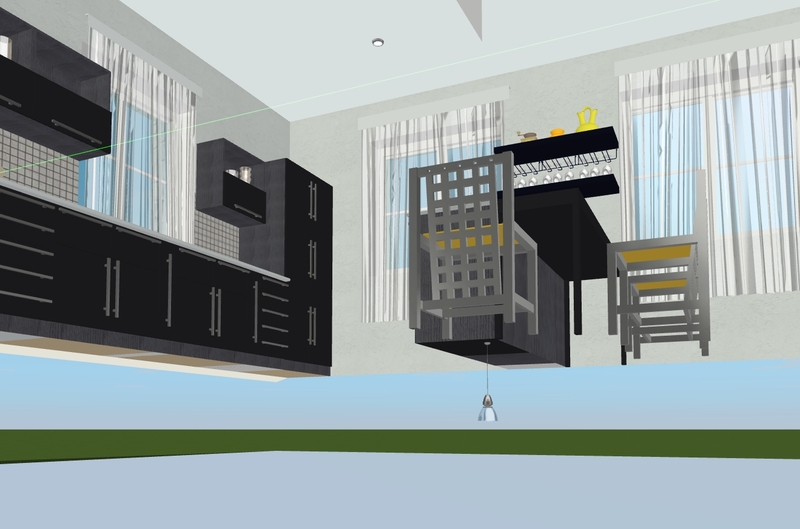 Once you are satisfied with your 2D design, you can navigate it in 3D, or preferably using the split view to get a better feeling of where you are in the rooms. 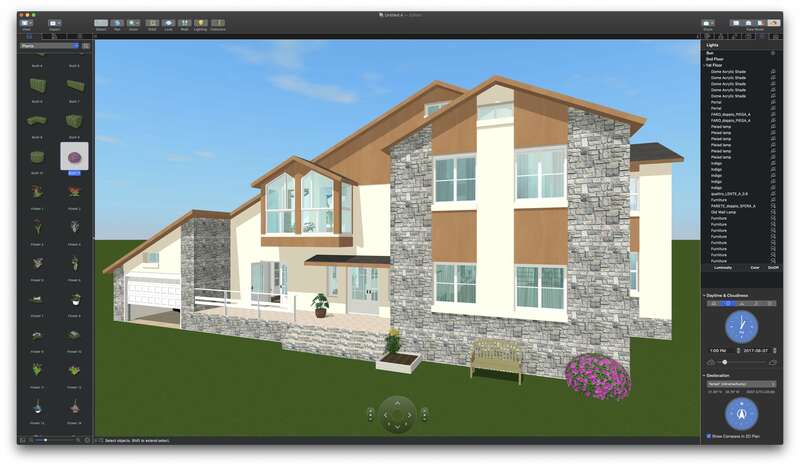 The software comes with 2,000 3D objects (doors, windows, furniture, and much more.) and 2,100 different realistic textures for your wall or floors (they are called materials in the app). If you need a specific material not in the software, you can create your own manually or import one using a picture. 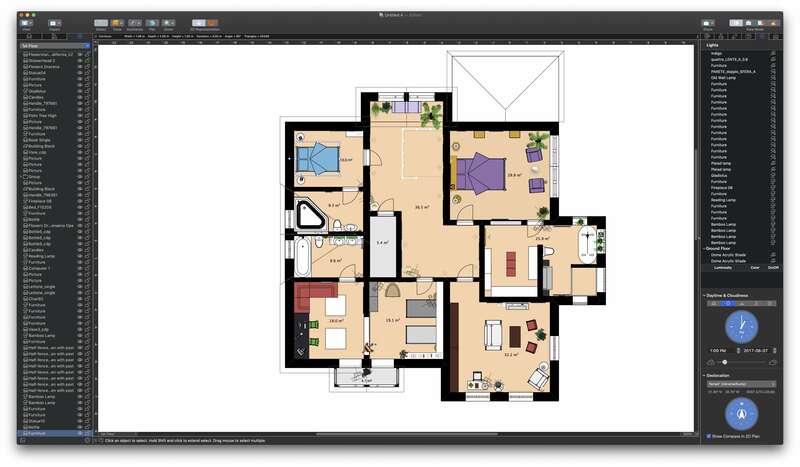 If you are designing a multi-room environment, the software provides a way where you can choose to interact with walls instead of passing through them. The navigation tools are easy to use and learn, even if sometimes it is confusing to virtually walk in the environment with the mouse. Like much 3D software, Live Home 3D can be hazardous when you navigate your virtual environment.It sometimes happens that the view you’ll get is just not possible or totally weird, but I’d say it is expected, like it is in some video games! The software is easy to get used to, but it can become very complex depending on what you intend to build with it. Any objects you add to your design can be customized with the material you desire (ever dreamt of a green refrigerator in your kitchen?). When you add an object such as a door, the software will place it right at the floor level for you. The same when you move furniture around, you won’t end up with a sofa that is flying up the air. On the other end of the spectrum are objects that cans be placed on walls (such as windows or pictures) may be more challenging to place. For these objects the inspector panels are well designed to prevent obvious errors, such as windows of the wrong size or height. Live Home 3D comes in two flavors: a standard edition and a Pro Edition. For most hobbyist or home users, the standard version will do everything. At the price of the standard edition you get a lot of possibilities that were not even possible just a decade ago. You can redesign your kitchen, bathroom or bedroom yourself as if it was done by a professional. 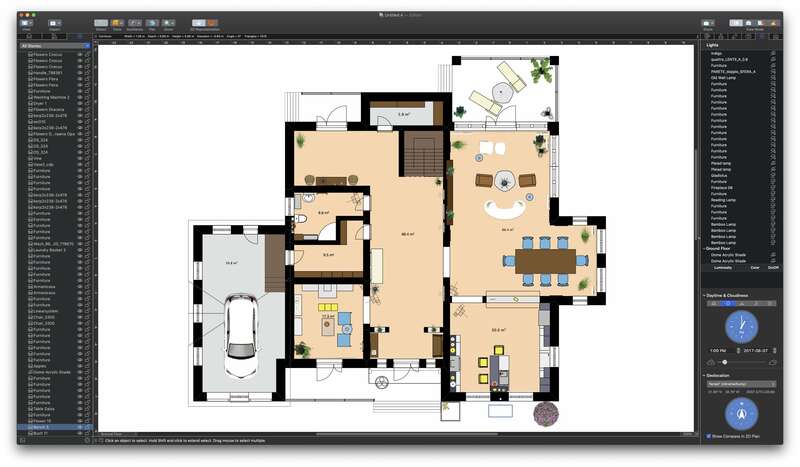 The Pro Edition adds capabilities such as unlimited numbers of floors in your building, exporting to popular 3D formats and other tools that professional designers are more likely to use. The latest version (3.4 as of this writing) includes the possibility to export to USDZ, the new 3D format that was presented by Apple in June 2018 WWDC keynote. If you have Mojave installed, this new version also supports Dark Mode. I just covered the surface of what Live Home 3D can do for you. The software has a lot of objects and textures available for a very affordable price. 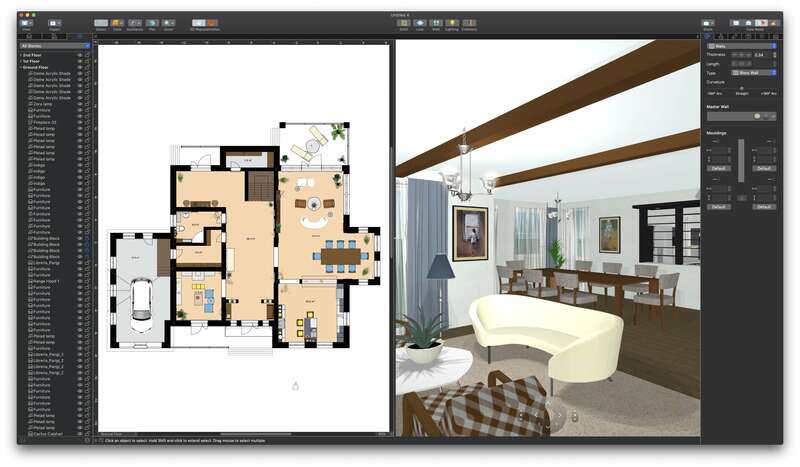 If you want a home/office interior and exterior design software, Live Home 3D is totally unbeatable. It is available for Mac and Windows, and they are planning an iOS version with AR capabilities for the fall of 2018.